We were as excited as anyone when we first heard Max Brooks’ novel World War Z was heading to the big screen. 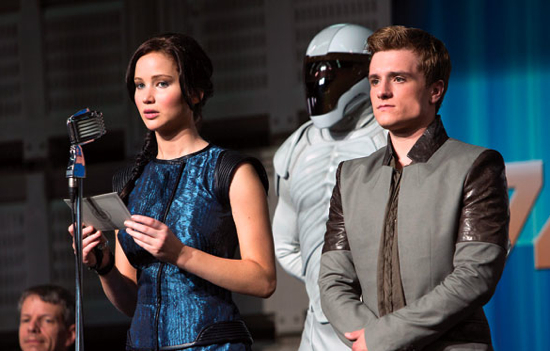 It’s a great book and from the moment we first read it, we were convinced it would make a terrific movie. Obviously, we weren’t the only ones who thought so. 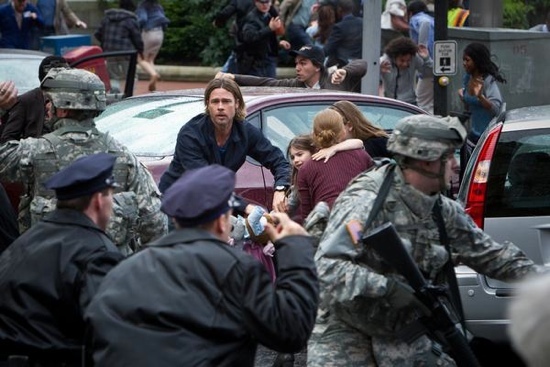 Cut to several years later and the World War Z movie is finally about to arrive in theaters. 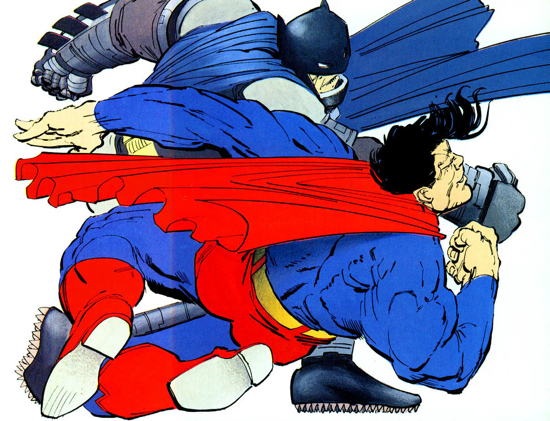 And even with all the troublesome news surrounding the shoot, we’re still excited for the movie. After having already seen the trailer, there’s a new clip from the movie that’s hitting the Interwebs this week. In it we find Gerry Lane (Brad Pitt) and his wife (Mireille Enos) and kids on an aircraft carrier. Once there some government types convince Gerry that’s he’s humanity’s last hope to stop the zombie apocalypse. Can it be stopped? Who knows. You’ll have to wait and see the movie. Until then, check out the clip after the break and look for World War Z in theaters on June 21. For a minute, let’s just forget about all the trouble (or supposed trouble) the big screen adaptation of Max Brooks’ novel World War Z may have gone through. Let’s just pretend all is well so we can come to this first trailer for the film with all the confidence and optimism in the world. And you know what, we don’t even have to do that. This trailer makes the movie look pretty awesome. In fact, if it’s really this good, nobody will even remember that it may or may not have been in trouble, had reshoots or had its release date moved back. If the movie is this good, all of that just won’t matter. Okay, we know you’re as interested as we were to see this trailer, so check it out after the break. 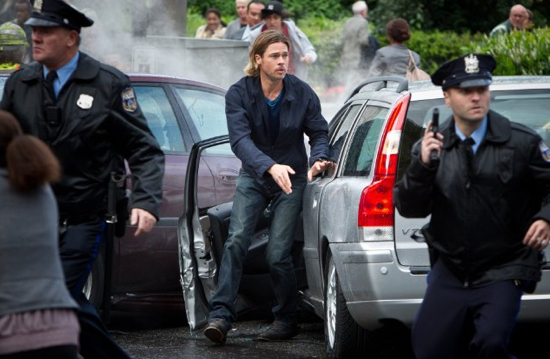 Look for World War Z to arrive in theaters on June 21, 2013. One thing you can always count on with a Baz Luhrmann movie is that it will be full of spectacle. Said spectacle may take the form of exotic song and dance numbers, sweeping vistas or elaborately choreographed gunplay, but it will always be there. His next production, an adaptation of F. Scott Fitzgerald’s The Great Gatsby, is no exception. It has contemporary songs, dancing, singing and spectacle galore, as you can see from the first trailer for the movie we’ve got for you today. Heck, it’s even in 3D. That’s a dimension Luhrman hasn’t explored bofore. It will be interesting to see what he does with it. If this trailer is any indication, he’s going to do a heck of a lot. Look for Baz Luhrmann’s The Great Gatsby, starring Leonardo DiCaprio, Tobey Maguire, Carey Mulligan and Joel Edgerton, to hit theaters this Christmas. Check out the trailer after the break.